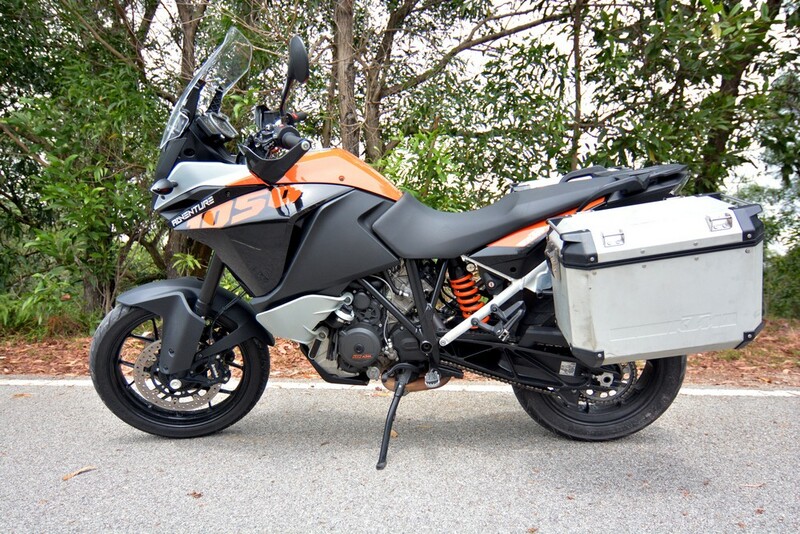 The KTM 1050 Adventure shares similar DNA with its siblings KTM 1190 Adventure and KTM 1290 Super Adventure. 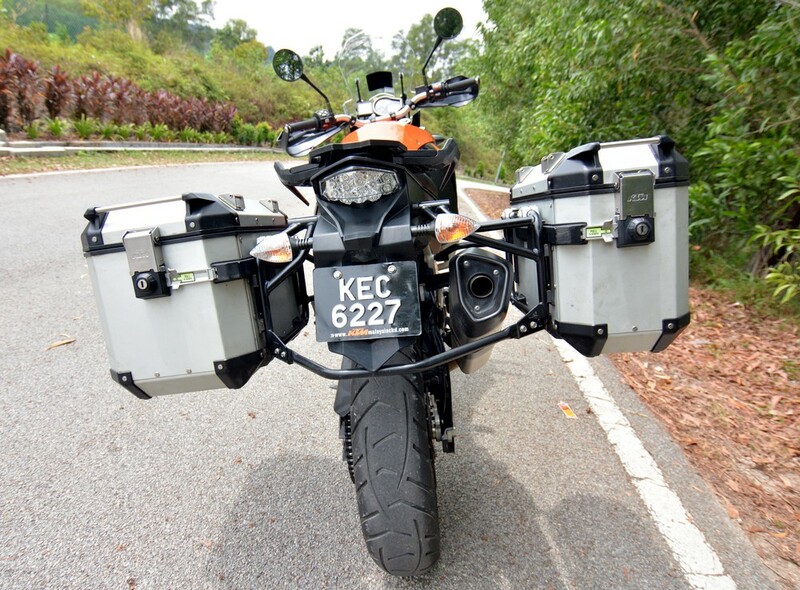 This brother was designed for two main reasons; firstly meeting the needs of riders who are very new to the adventure touring and finally making it more affordable thus only the necessities are available on the 1050 Adventure compared to the other KTM Adventure series. 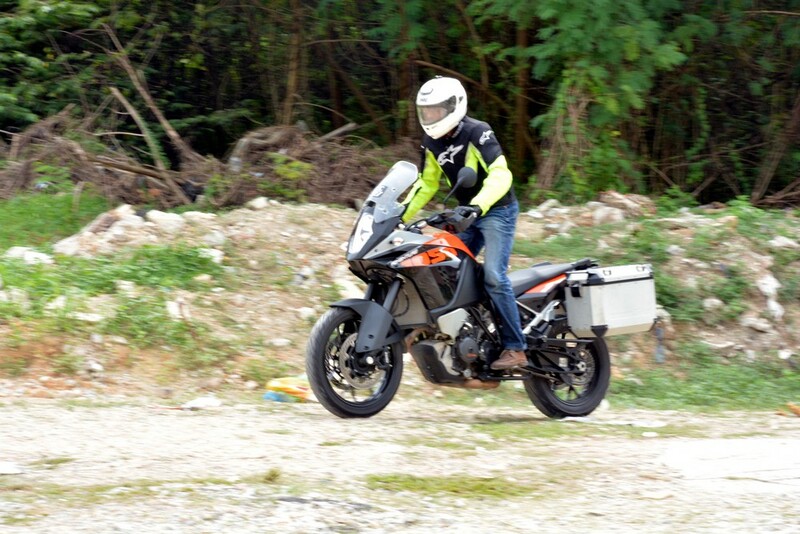 KTM Malaysia is now offering 1050 Adventure which is assembled locally thus making it much more affordable compared to the fully-imported (CBU) model. Very sweet. 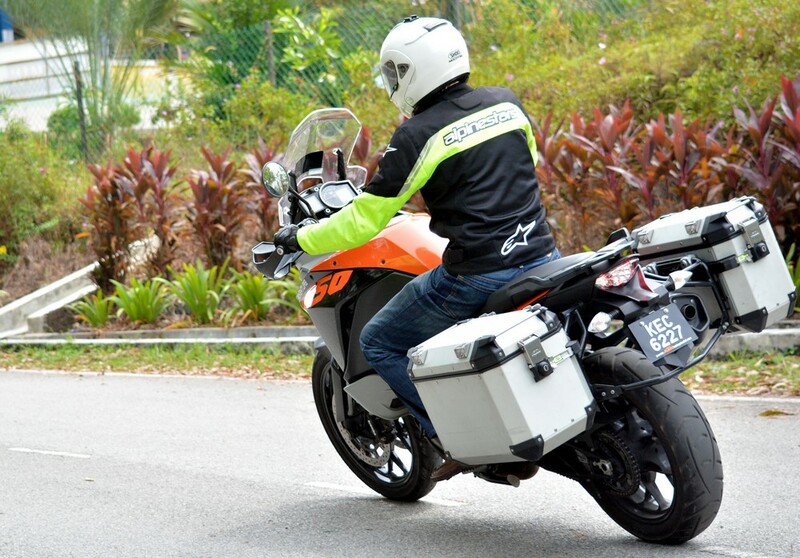 The KTM brand which hails from Austria is synonymous with adventure touring motorcycles. The 1050 Adventure still uses the LC8 engine with the same chassis found on its bigger brother - 1190 Adventure. The design of the 1050 Adventure is simple and practical. 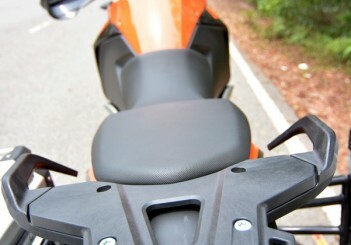 No bells and whistles here compared to the other KTM bigger brothers, so the cost of the bike is kept low. 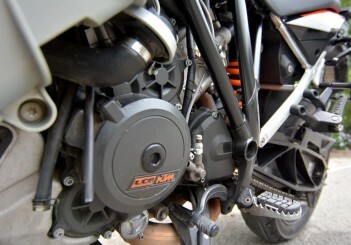 The ergonomics of this orange (KTM’s official colour) bike is designed for an adventure ride. It is an upright position, with plenty of legroom for me and I realised that the handlebar is slightly wider than the 1190 Adventure. The wide handlebars definitely gave me better control over the bike. 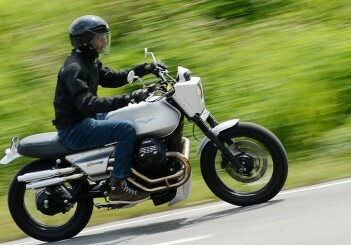 The rider and pillion seats were broad enough; but much to my liking I would have preferred a thicker seats. The height of the wind shield is adjustable and need a bit of effort to make the necessary changes. The dashboard of the 1050 Adventure is very easy to read and it took me less than 10 minutes to figure out to manage it. The practicality of the dashboard is a pleasant experience. I am able to scroll down the menu items and pick my favourite riding modes (street/sport/rain) without any hassle. 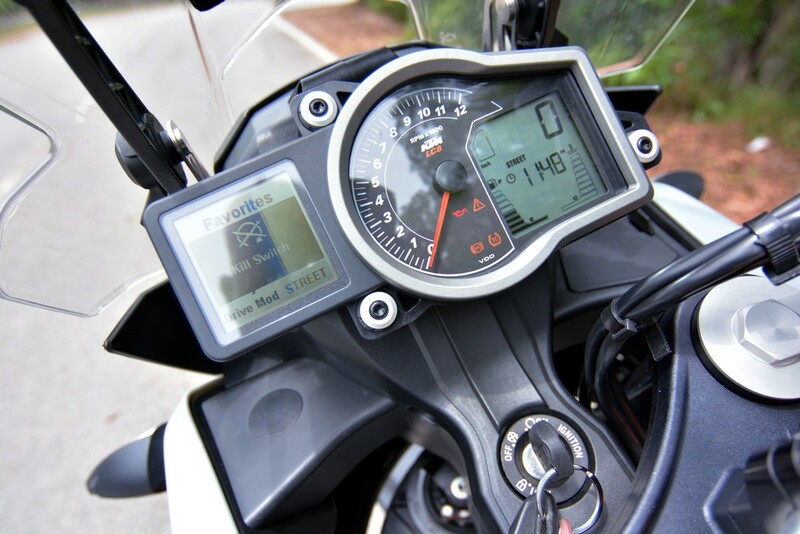 Every time I use the dashboard, the system responds immediately, there is no delay unlike many other bikes. Information like traction control, ABS, time, fuel gauge, tank range, riding modes and other host of useful data are made available quickly. 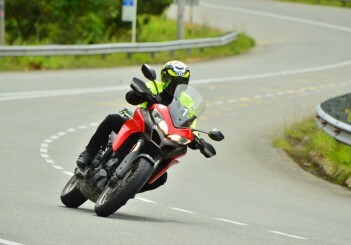 I tried out the three riding modes -street, sport and rain but preferred the sport mode any time of the day. 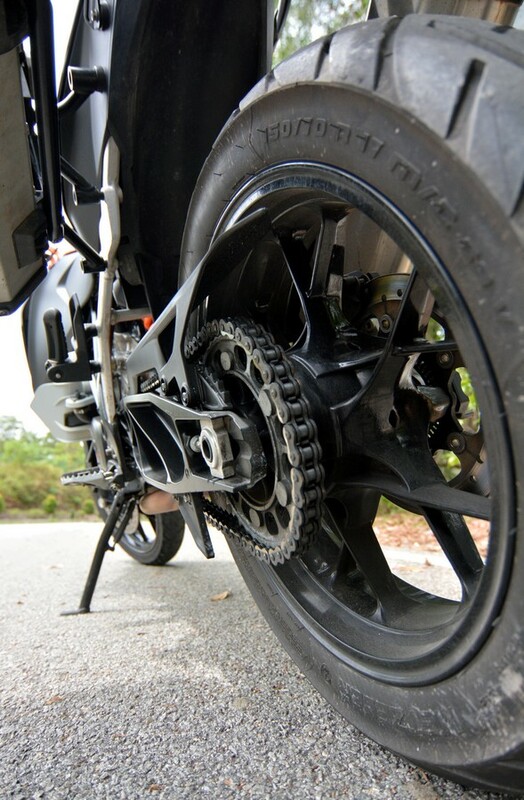 While I was doing my ride from Kuala Lumpur to Janda Baik to Genting Highlands to Kuala Lumpur, the street mode seems to be okay but it lacked the torque unlike the sport mode. The street mode will be apt if I planned to do a long ride without any hurry. Meanwhile, the rain mode offered me much less power as expected compared to the other two modes. 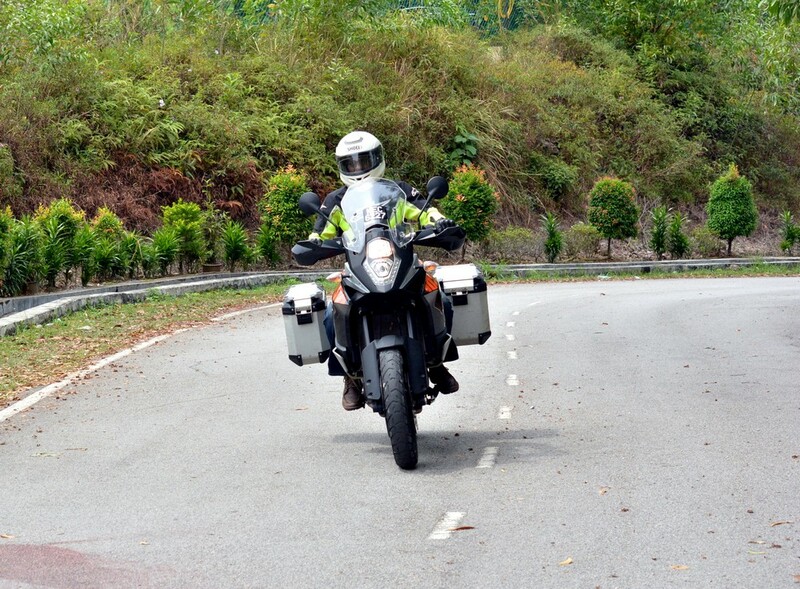 I had a pleasant ride from the BHPetrol station in Gombak to the foot hill of Genting Highlands. 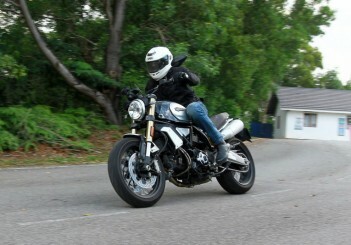 The ride was very comfortable and without me realising, I was doing way above the legal speed. Like any other V-Twin, the engine was calm at lover revs. Its 1,050cc engine has 95hp and 107Nm of torque. But the minute I brought the engine rev to above 3,200rpm, the 1050 Adventure feels charged up and ready for serious action. 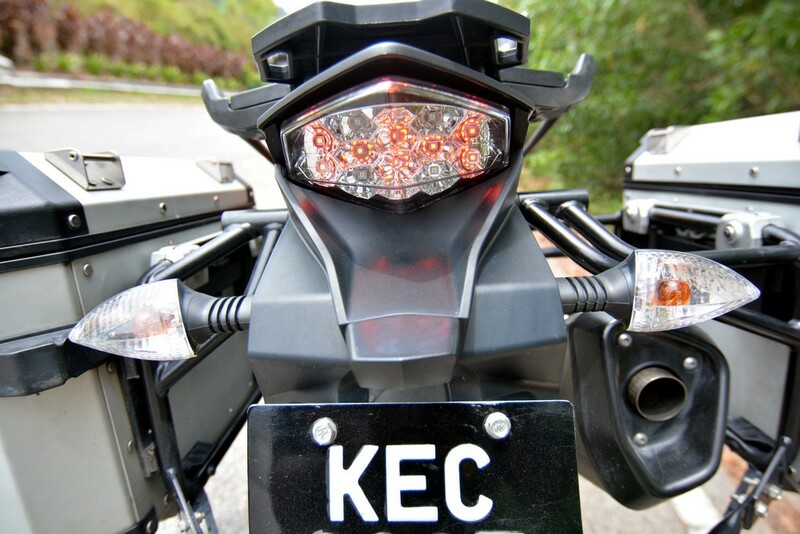 Riding on the hilly roads of Genting Highland and Janda Baik, I realised the bike was so responsive and obedient. There were no surprises from this Austrian machine where the power band is linear during the street mode. 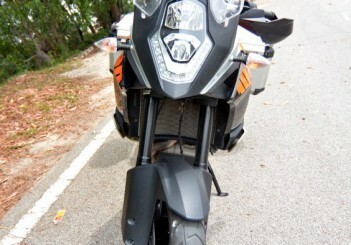 However on sport mode, the engine becomes torquey, making riding fun. I decided to ride this bike hard on the highland roads. The handling was nimble and I could dive into corners at high speed. 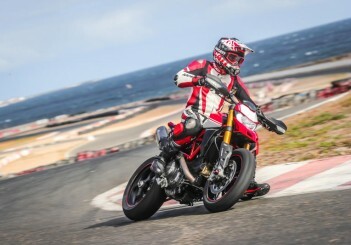 I did not realise until a riding buddy of mine who was behind me on his Ducati Panigale 1199 commended on how well I handled the bike on few sweeping corners and twisty stretches. Even on an upright sitting position, I did not feel any awkwardness in tackling all the twist and turns. Bravo KTM! The overall suspension of the 1050 Adventure is great. Even on hard surfaces and potholes, I was well cushioned. I am so sure, if one attempts the off road with this bike, you will not regret it especially when you know the generous suspension travel of the front and rear is 185mm and 190mm respectively. 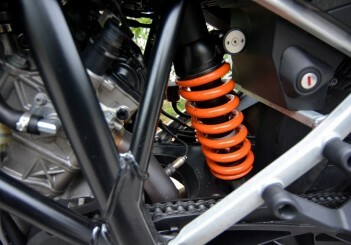 Furthermore, WP suspensions are only known for their superior performance. Enough said. 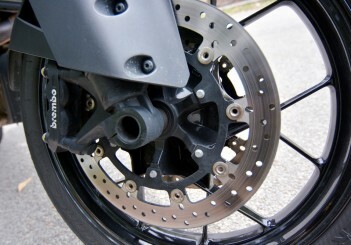 The 1050 Adventure also comes with the ever popular and reliable Brembo brakes. The front brakes is a Brembo radially mounted four-piston brake calipers with 320mm diameter discs meanwhile the rear is two-piston brake calipers with 267mm diameter discs. My personal opinion, the front brakes bites more than the rear. 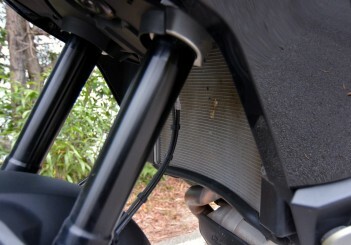 And not to forget the bike also comes with Bosch ABS. 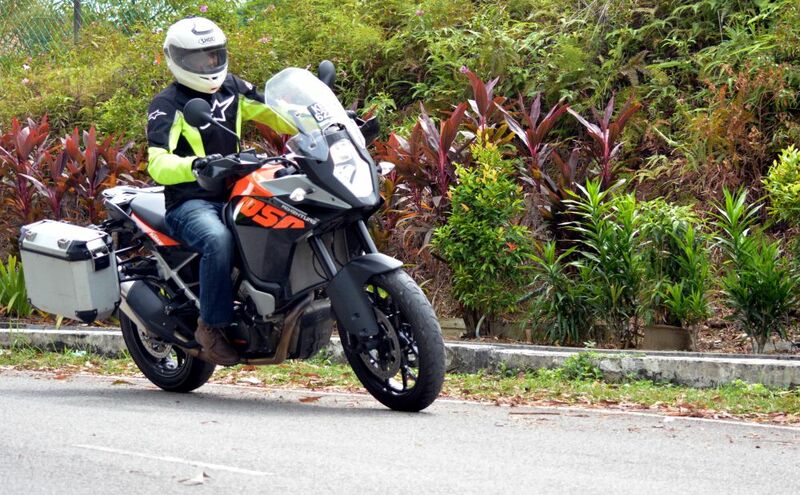 The versatile KTM 1050 Adventure is definitely a great bike to any first time adventure touring rider. What makes it even more palatable to many is because of the easy handling, practicality, power and the price of RM68,888 that is more affordable now compared to the CBU unit.